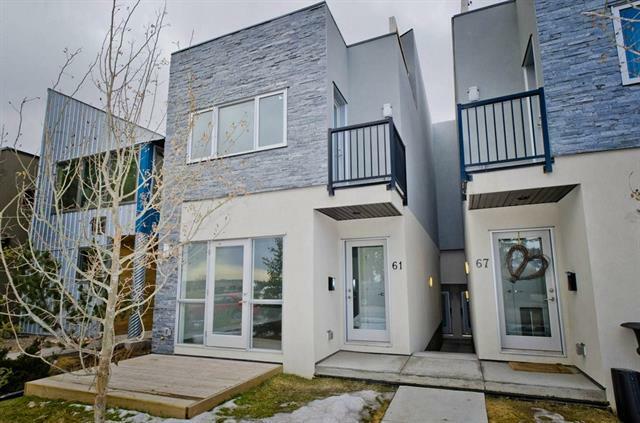 Unbeatable price for this beautiful almost new 3-storey townhome in one of the best neighborhoods in town. This home consists of 2 bedrooms, 2 bathrooms and massive third level loft. The basement is unspoiled for your future needs. 1 detached garage is included and a lovely south facing back deck. The home features hardwood floors, quartz counters, tile backsplash and much more. Amazing value if you want to get in to the inner-city, and will not last long.